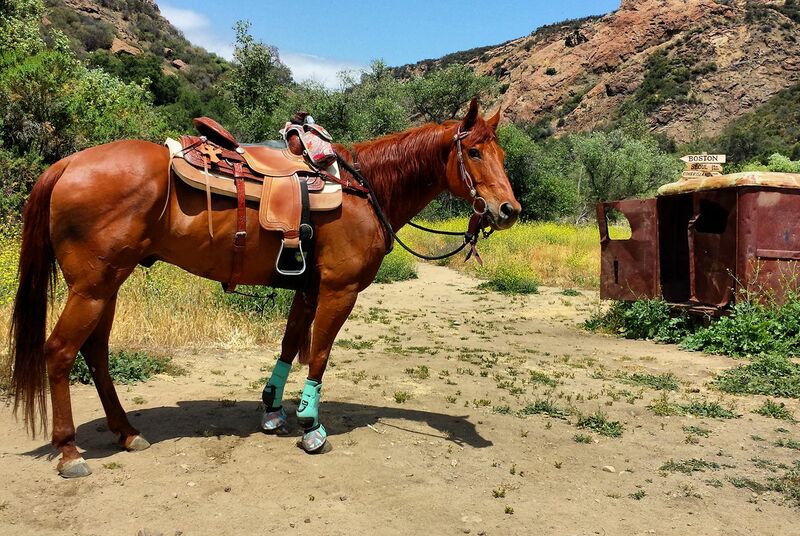 My Trusty Rusty and I tend to go on long trail rides. His back used to get sore. But since we started using Five Star he doesn't anymore. He's tried all of the leading brands. 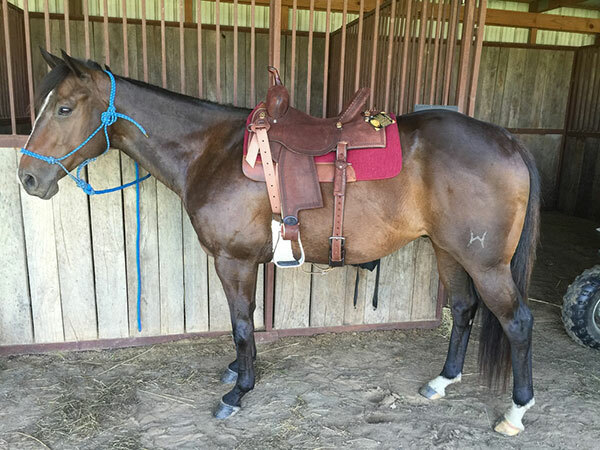 I struggled with saddle fit with my mare for almost a year. After spending thousands of dollars trying to find a right saddle/saddle pad combo, I finally tried a 5 star and was immediately hooked. 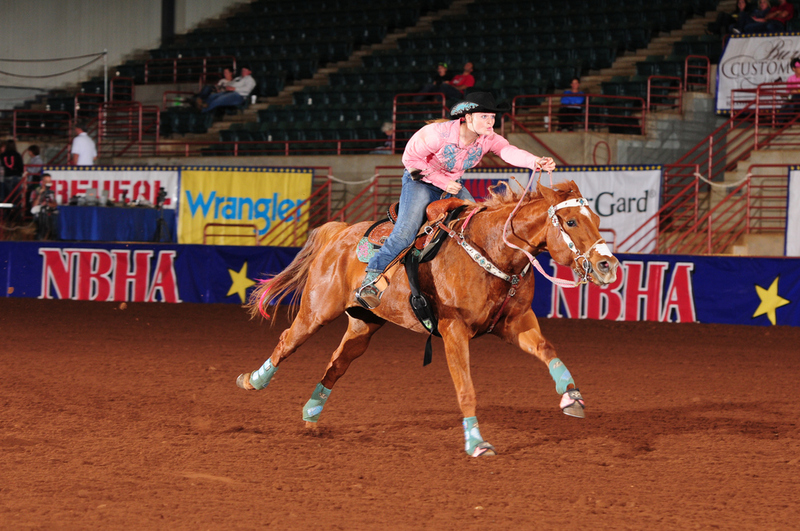 My mare is running harder, clocking better, and is overall happier and more relaxed. 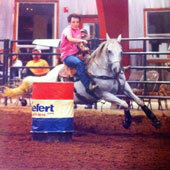 I refuse to use any other pad because without 5 star, my mare wouldn't be as near comfortable as she is today. Although I was not unhappy with the quality of my previous saddle pad, but was very curious to try out 5 Star Pads that I had been hearing and reading so much about. I knew I was getting a quality pad that was going to be better for my horse because of the shock absorption and breathability that natural wool provides. I was also excited to have a pad that was personalized with my name and company's logo. I was surprised at the instant improvement in my saddle fit. My 5 Star pad provides a closer, more balanced contact with my horse. I noticed a huge improvement the first time I worked my horse on the barrel pattern with my 5 Star pad; it allows him to stride out longer and smoother as well as collect and get “round” in his turns. I so am thrilled with the quality and science behind this saddle pad, I had to let you know! 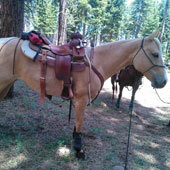 I just received your saddle pad and used it twice so far on my Paso Fino trail horse. What a wonderful product! I am so pleased with how comfortable my gelding seems to be. I've noticed that he doesn't roll as soon as he's turned out after his post ride rinse and I can only attribute this behavior to the fact that his back doesn't feel sore. The pad dries very quickly and is so soft. And, of course, as you stated in your product information I don't have to tighten the saddle as much even though it's a custom made saddle built for him. I proudly use and recommend using 5 Star pads. I have been using 5 Stars for about 2 years and have not found anything that helps a saddle fit a horse better. 5 Stars do not slide back or roll with a saddle. 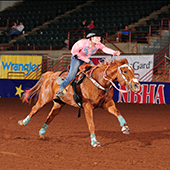 I train barrel horses and compete in futurities, rodeos and do private lessons; furthermore, I recommend to everyone to try one, they will never switch to another pad! LOVE my 5 Stars, they are the only pad I will ever own!! This will be my 3rd custom pad in 8 years, very excited!! 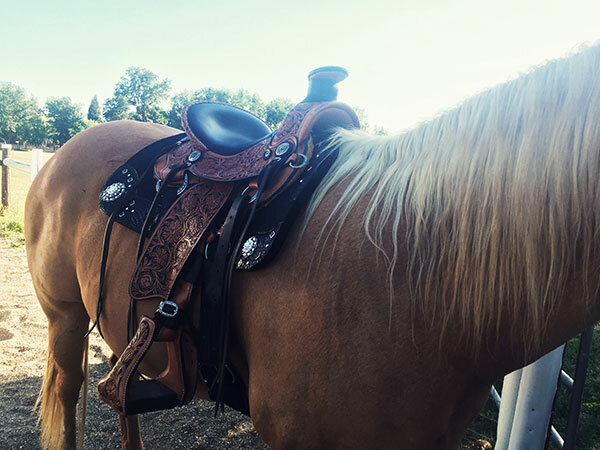 I wanted to tell you that your service was excellent, it was very fast and I felt you were very professional and were very helpful throughout the process of my order for a custom 5 star saddle pad. I received my pad yesterday, and tried it today on both of my horses. It was awesome, I love it and my dad made the comment that he really liked the work and may want one himself. I am very pleased with the product and workmanship. I am very pleased with the purchase of my new pad. 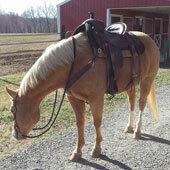 I noticed a difference in the way my saddle fit on my horses back right away and he is moving more natural and relaxed. But most of all I loved all the sighs he gave me. He thanks you very much. I love these 5 star pads. I have purchased several pads mainly to see which I was happiest with, as in quality, looks, durability and these 5 star pads won hands down. I had this concho with my initials. We had seen the leather with brands, initials, etc, but with my square skirts, there would not have been enough room. This ended up working out great, and the sterling silver looks beautiful against the black color. I don't know if you remember me, but you cut a pad for my daughter's pony last year. You had asked me to send a picture and I have not had one that I liked that I could see her name on the pad to be able to send. Now I have one! 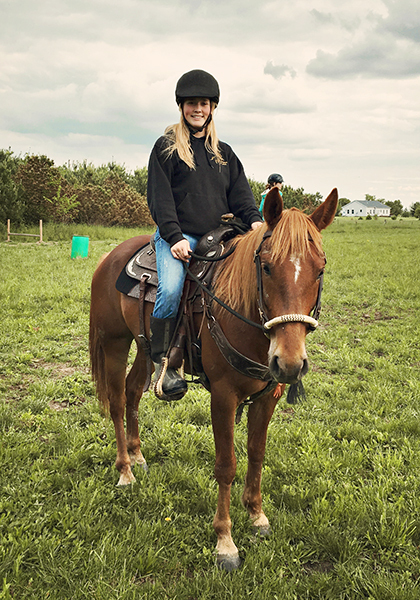 This is Hailey Schewe, age 6, and her pony, Poco, age 26. We love the pad and have had many inquiries as to where I got it. I just purchased another one, so now all my horses have 5 Star pads! My horse and I love your pad. Stays in place when I saddle him, and he did his best, smoothest trot ever!!! Thank you for an excellent product. I have been hooked on mohair cinchas for a while and had a wool Parelli Pad from way back, but it didn't fit him-didn't have that curve in it. I also enjoyed your article about wool. You are the best, and trust me, I will spread the word. You are doing much good for the horse, and they certainly deserve it. I am so glad that I discovered your products. Keep up the good work. I have finally got a chance to give your pads a good test. I really like them. I never had one that fits a horse's withers and back so well. Anyone that asks I will recommend the 5 Star Equine Pads. Thank you for considering me and have me try out your pads. Also, my son, Luke, who used to work for Sandy Collier, would like to know how to get some. Do you sell them thru retailers in California? We have used 5 Star Pads for the past five years and really like them. I have the mule pad for my mule, and we also ordered the packer pad which has held up wonderfully. My husband is on his second 5 Star Pad – one for every day and one for good.